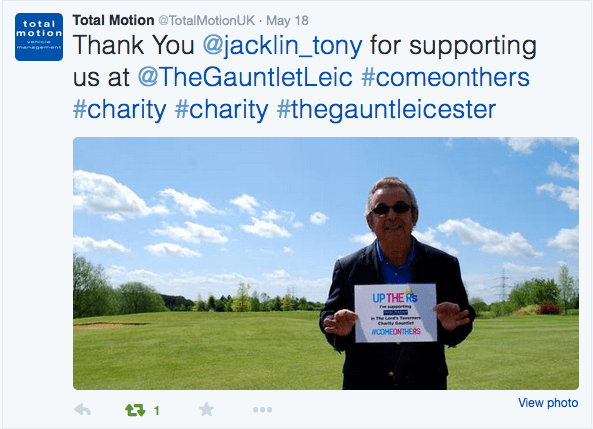 The Gauntlet – Total Motion Team Gathering Support! 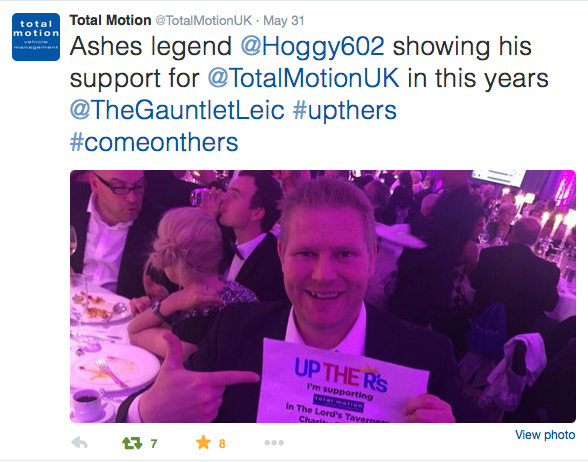 Total Motion Team Gathering Support! 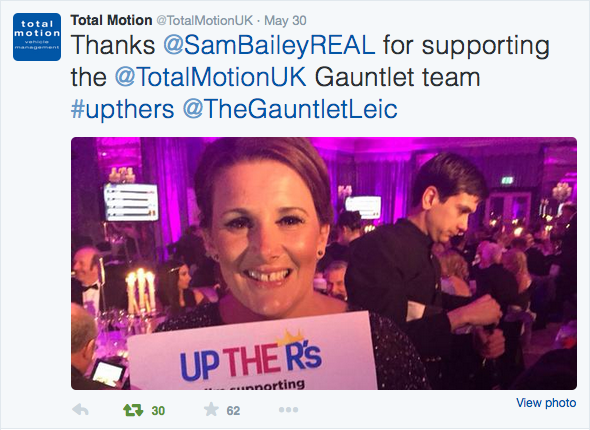 Visit @TotalMotionUK on Twitter to see some of the amazing support they’ve gathered for the ‘Up The R’s’ Gauntlet team. 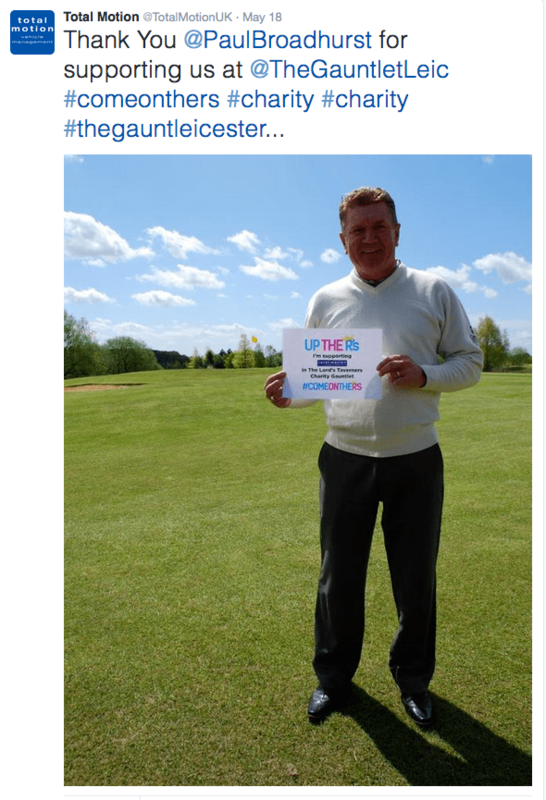 By gauntlet|2015-06-02T11:13:10+00:00June 2nd, 2015|Uncategorized|Comments Off on Total Motion Team Gathering Support!